I have always been a fan of breakfast foods. I happen to have an entire pin board dedicated to brunch recipes. One of my absolute indulgences is ordering Eggs Benedict when we go out to breakfast or brunch--especially when we are at a particularly good restaurant and I can be confident that the dish will be done well. The elements of the dish offer a little bit of everything that enjoy in a bite: texture (toasted muffin), creaminess (poached eggs, hollandaise sauce), salty bits (canadian bacon), and bright flavor (that fresh hint of lemon in a good hollandaise). I understand though, that poached eggs are not for everyone. And turning out plates of eggs benedict for a brunch you might be hosting can be tricky and labor-intensive. I have found a terrific alternative! 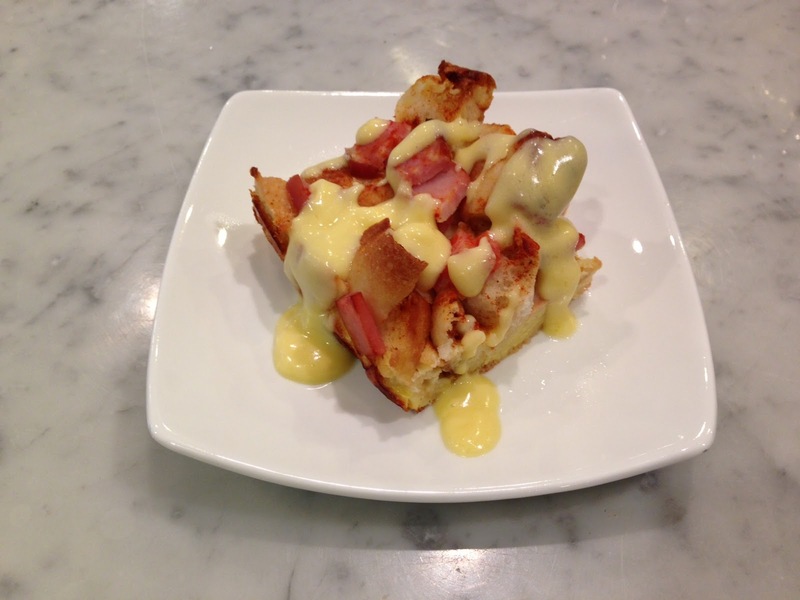 Eggs Benedict Casserole from A Taste of Home. Place half of the bacon in a greased 13-in. x 9-in. baking dish; top with English muffins and remaining bacon. In a large bowl, whisk the eggs, milk and onion powder; pour over the top. Cover and refrigerate overnight. 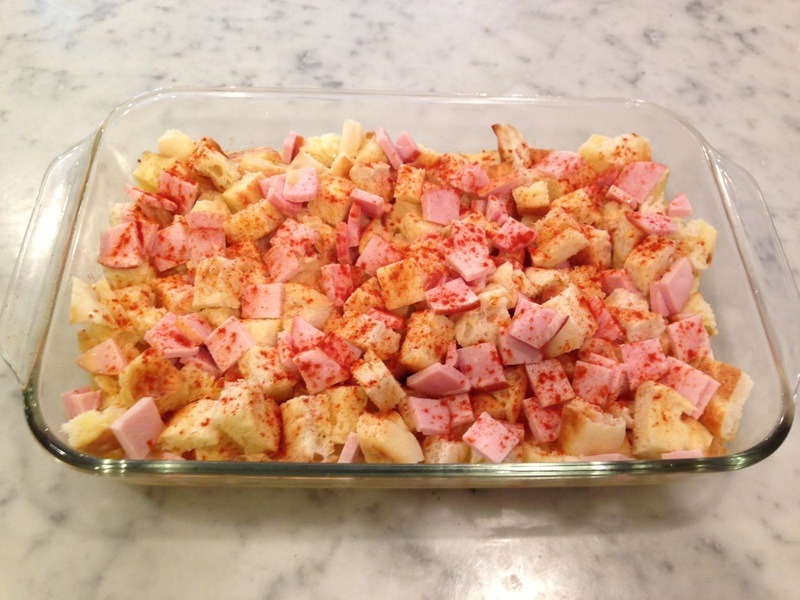 Remove from the refrigerator 30 minutes before baking. Sprinkle with paprika. Cover and bake at 375° for 35 minutes. Uncover; bake 10-15 minutes longer or until a knife inserted near the center comes out clean. In a double boiler or metal bowl over simmering water, constantly whisk the egg yolks, cream, lemon juice and mustard until mixture reaches 160° or is thick enough to coat the back of a spoon (I use the spoon method). Be careful to not let it thicken too much. Reduce heat to low. Slowly drizzle in warm melted butter, whisking constantly. Serve immediately with casserole. Don't let the "double boiler" step intimidate you--it's really simple and you'll feel like a badass when you've conquered it for the first time (or maybe that's just me?). The hardest part is remembering to assemble the casserole the night before. The best parts of the traditional Benedict hold up with this recipe. The edges of the muffin poking up get nice and crispy-toasted, there's lovely bacon in every bite, the eggs remain creamy in their delicate firmness (did that sound slightly dirty to you too? ), and the hollandaise has a balanced bite to it with the lemon juice and Dijon. If you're hosting a gathering for Mother's Day, this might be a great addition to your menu! Enjoy!